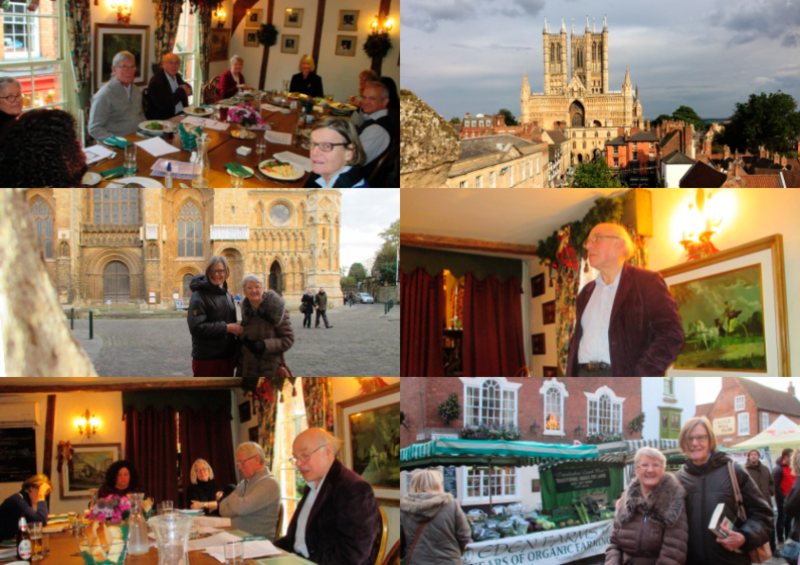 On Saturday 18 November 2017, members of the Lincolnshire Society and guests enjoyed a delicious lunch combined with a fascinating and well-prepared talk by John Whittaker about Theatre Translation. Everyone was presented with a copy of the main text of his talk. 4. How a Translation, Tom Taylor's 'Ticket-of-Leave Man', became much more Famous than the Source Text, with comparisons of different scenes and settings. Although it has long been standard practice for theatre translations to be produced by a 'dramaturge' working from a 'literal', John's focus was on translators working directly from the source. He emphasised that the objectives of the stage translator are to render the sense of the original play and to 'domesticate' the play to the sensibility of the target audience. John entertained the audience with his descriptions of the translators and his impressions of the different characters; we are most grateful to him for his talk. How and Why were French Plays Performed at the Theatre Royal, Hull, during the Napoleonic Wars? After a PhD on the translation of the Latin Vulgate into French Romantic poetry, John Whittaker taught for 34 years in schools and higher education before becoming mainly a technical translator. As well as teaching French, John trained language teachers and taught and examined the MA in Translation Studies in three universities. John gained an interest in literary translation through contributing four entries to the Encyclopedia of Literary Translation into English (2000). From 2000 to 2003 he was a member of the University of Hull Drama Department, working on the project Translation and the British Stage funded by the Arts and Humanities Research board. John is a full member (MCIL) of the Chartered Institute of Linguists. This event is free of charge. Attendees are asked to pay for their own lunch. Members, non-members and their friends are all welcome at our events. Final date for booking is one week prior to the event; if you have any additional needs please notify US (lincolnshiresociety@ciol.org.uk) at least three weeks in advance so we can make the necessary arrangements.